Harlequin® Heartwarming brings you four new wholesome reads for one great price, available now! Harlequin® Heartwarming celebrates wholesome, heartfelt relationships imbued with the traditional values so important to you: home, family, community and love. 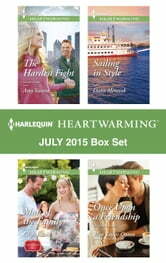 Look for four new tender stories every month from Harlequin® Heartwarming!